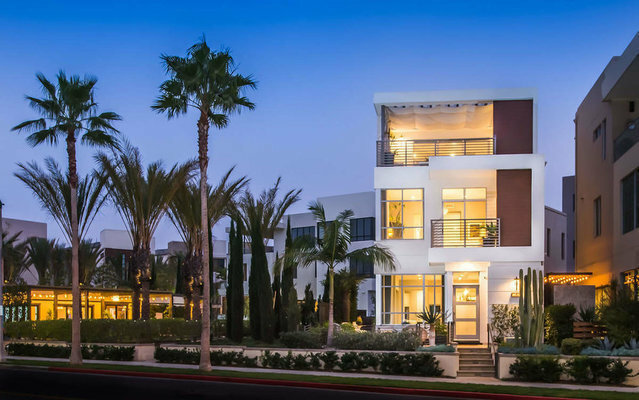 Situated near a spacious corner in Playa Vista, this three level Luxury Residence balances contemporary architecture and modern design with open spaces made for both relaxation and entertaining.As a former Model Home, upgrades seem endless in this fully appointed home. Guests are initially greeted by an open floor plan that allows a perfect flow between the great room, chef's kitchen and the tranquil outdoor space complete with outdoor kitchen. As a focal point, the kitchen is highlighted by Eureka Danby Marble Countertops, Wolf and Sub-Zero appliances along with Subzero wine storage and walk in pantries. Venture up to the second floor where the Master Suite awaits with tremendous city views, and a spa-like master bathroom retreat.An oversized lounge and outdoor covered patio create a third floor escape with picturesque views over the top of Playa Vista. Perfect for both entertaining or unwinding, this newer construction home celebrates the indoor outdoor lifestyle at its best.